Fillers are great non-surgical methods to improve lines and volume loss in different area of face. Most commonly the fillers are injected to restore fullness of your lips as well as cheeks, smile line, and jawline. Hand rejuvenation is becoming more popular as it improves the hands’ volume. Dr Ray is experienced in filler injections. Aside from the common areas, he injects in the scarred area due to acne. The results are immediately visible and it’s exciting when patients would look at the mirror and express their surprise and satisfaction. Fillers do great job in experienced hands. To find out if you are a candidate for fillers then Dr Ray recommends to schedule a consultation for determining what treatment is the best option for you. At Elite Medical Aesthetics, Rocklin, our treatments are goal oriented. Dr Ray would want to make sure you achieve your goals for any aesthetic treatment of Filler Injections. The molecule size and consistency are the most important differences among the fillers. Restylane is manufactured by Galderma and Juvederm is made by Allergan. Both brands have different fillers suitable for different locations. For instance, Juvederm Volume is injected deeper than Juvederm. Similarly Restylane Silk is for superficial injections, and Restylane Lyft is for deeper injections. Dr Ray is an expert in cosmetic medicine and he would explain the differences and how one product may work better for you. During the consultation, Dr Ray determines which filler is right for your desired goal. Click here for a complimentary consultation. What Can I Expect During The Filler Treatment? After evaluation, discussion and decision making on plans, a numbing cream is placed on the area that is to be injected for about 15-20 minutes Dr Ray is highly experienced in injections and usually there is no pain or minimal discomfort. Following the injection, Doctor may gently massage the treated areas. The procedure is quick and easy and the results are instant! The injection itself usually takes only about 15 minutes. Photos would be taken before and after. What is the Recovery time for filler injections? One great aspect of the filler injections is that the results are immediately visible. No downtime expected and you may resume your daily routines or work. Immediate improvement is noted such as facelift, fading or minimizing deep smile lines, having fresh look and less tired look. “LOOK AMAZING” as most of Dr Ray’s patients express. Dr Ray Med Spa offers various fillers to clients from Rocklin, Roseville, Lincoln, Folsom, Eldorado Hills, Granite Bay, and Sacramento area. There are clients from Grass Valley, Fairfield, Yuba City and Reno coming to have treatment in Elite Medical Aesthetics. How much does filler injection cost? It all depends on the type of filler, location, how many syringes would be needed. At the time of consultation, Dr Ray would explain your needs and then you may decide on having the filler injection. The consultation is complimentary. 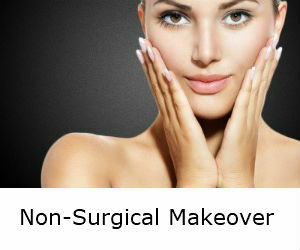 Moreover, At Elite Medical Aesthetics, Doctor Ray and Staff work out a good pricing for clients. While the pricing is reasonable, we would accept careCredit too. You may experience pain, tenderness, temporary redness, swelling, bruising, firmness, and bumps at the injection sites. These are usually mild to moderate in nature and clear up on their own in 2-3 days. If there are specific post care needed then Dr Ray would go over those with you before leaving the office. Juvederm is made by Allergan and mostly used for middle and lower face. It is also used for the lips as well. Through consultation, Dr. Ray, would explain if Juvederm XC is the filler option for you. Juvederm Voluma is made by Allergan. It is a Hyaluronic acid filler similar to Juvederm but the molecules are larger. Voluma is a preferred filler in deeper areas such as cheeks for cheek augmentation. Request for a consultation with Dr. Ray and find out if Voluma is a good choice for you. Restylane Silk is made by Galderma. It is a Hyaluronic acid filler similar to Restylane but smaller in molecule size. Silk is mostly used for superficial lines, around lips, smoker lines and lip augmentation. Request for a consultation with Dr. Ray and find out if Restylane Silk is suitable for you. Restylane-L is a Hyaluronic acid filler similar to Juvederm. It has Lidocaine so that helps to minimize the pain. Overall patients have reported minimal pain and discomfort during filler injections at Elite Medical Aesthetics. It is important to use the best suitable filler for your needs. Ask for a consultation with Dr. Ray and find out if Restylane-L is suitable for you. Radisse is a filler manufactured by Merz. It is a different type of filler, containing calcium, but works quite similar to other fillers. Dr. Ray finds it most appropriate for the deeper injections such as cheeks and jaw line. It has Lidocaine so that it helps to minimize the pain. 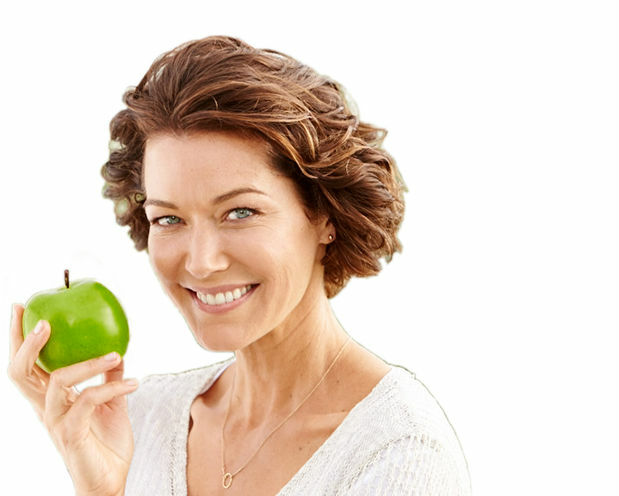 Ask for a consultation with Dr. Ray and find out if Radiesse is suitable for you. Belotero is a HA filler, similar to Restylane Silk is injected mostly for superficial lines, around lips, smoker lines and lip augmentation. Ask for a consultation with Dr. Ray and find out if Belotero is suitable for you. Filler Went Wrong! There are circumstances where fillers have been injected but the results are not satisfactory. Over the last couple of years, Dr Ray has performed numerous corrections of prior filler injections, coming from some other centers. The treatment for filler correction vary. Sometime Doctor Ray would resolve the problem by use an enzyme Hylase to dissolve the doing revision. Request for a consultation with Dr. Ray and find out if Restylane Silk is suitable for you. Sometime after filler injections, you may experience asymmetry. Most the time it is transient and would correct itself within one week but if you have asymmetry after one week of filler injection then contact us at Elite Medical Aesthetics. Dr Ray has vast experience in filler corrections. If there are any asymmetry in your face, born with or through your life happened, then Dr Ray can handle it well for you and correct the asymmetry. Dr Ray has done numerous non-surgical Rhynoplasty ( Nose Job) by injecting fillers. It takes around 15 minutes and results are amazing. Some circumstances that surgery is not desirable or surgery seems too much, then trying filler injection may help and offer remarkable results. It is immediately visible and no downtime. The cost of non-surgical Rhynoplasty is nominal in comparison with surgical correction. Ready to learn more about the procedure and find out how fillers can help you. Call 916 500-2474 to schedule a consultation with Dr Ray at Elite Medical Aesthetics, Rocklin or fill out the request for consultation form.